This ACE location is situated at the corner of W Ball Rd and Euclid St. in a small plaza with Metro PCS and 7 Eleven. There should be plenty of parking at this walk-in location. West Anaheim Resort Transportation Bus line #37 and #46 both stop at W Ball Rd and Euclid St., not too far from the store. Visit ART’s website for more information. Due to the high-volume tourist area, this location neighbors several restaurants and shops including Bronx Sandwich Co., Chipotle, Rufino’s Italian, Phat Collectibles, Nader Convenience and Grocery Store, and Spires. This ACE Cash Express is also down the road from a theme park named Disneyland. 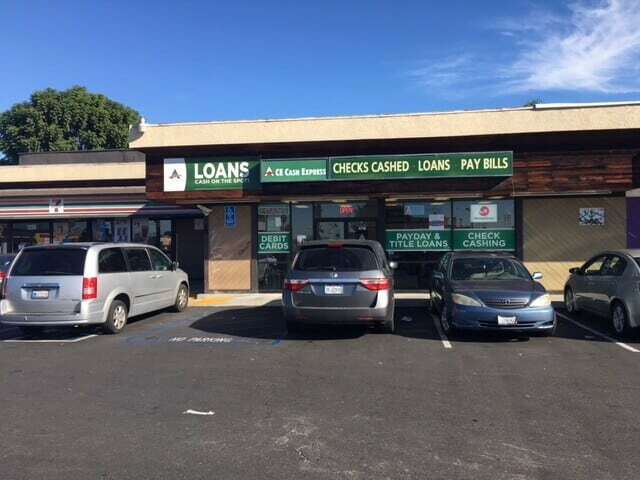 Competitive Auto Title Loans Powered by LoanMart in West Anaheim at ACE Cash Express! Auto title loans powered by LoanMart use the title to your qualifying vehicle as collateral. Because of this, you may receive competitive rates and affordable terms!1 Unlike with a traditional loan, qualification for an auto title loan powered by LoanMart is based on more than just credit history.1 Qualifying factors include income, vehicle equity, vehicle mileage, and so much more! There are several ways to start the inquiry process for an auto title loan powered by LoanMart in West Anaheim. If interested in affordable funding, call the toll-free number, complete the inquiry form online, or visit an ACE Cash Express store near you to apply in person. After receiving approval, your helpful representative will talk to you about how to obtain your title loan money at ACE Cash Express!